Medicine Man on VHS. Starring Sean Connery, Lorraine Bracco. Directed by John McTiernan. 1992. On The Trail Of An Amazing Discovery He Finds An Explosive Adventure! Academy Award-winning star Sean Connery (Best Supporting Actor — The Untouchables), reunites with action director John McTiernan (The Hunt for Red October, Die Hard) for another powerful collaboration in the heroic box office smash Medicine Man! Screen favorite Connery plays Dr. Robert Campbell, a brilliant but unorthodox scientist racing against time in his bold research for a cure against cancer. Set deep in the forbidding Amazon rain forest, this action-packed hit follows Campbell hot on the trail of an amazing discovery — but the eccentric recluse soon finds himself caught in the midst of an explosive adventure! Also starring Oscar-nominee Lorraine Bracco (Best Supporting Actress GoodFellas), Medicine Man delivers unmatched entertainment with its spectacular mix of breathtaking scenery, captivating performances, and thrilling, nonstop excitement! The Dream Team on VHS. Starring Michael Keaton, Christopher Lloyd, Peter Boyle, Stephen Furst, Lorraine Bracco, Dennis Boutsikaris. Directed by Howard Zieff. 1989. This morning they were playing ping-pong in the hospital rec room. Now they’re lost in New York and framed for murder. This was never covered in group therapy. Michael Keaton heads up an all-star cast in this irresistible comedy about four mental patients who are separated from their therapist on the way to a baseball game. 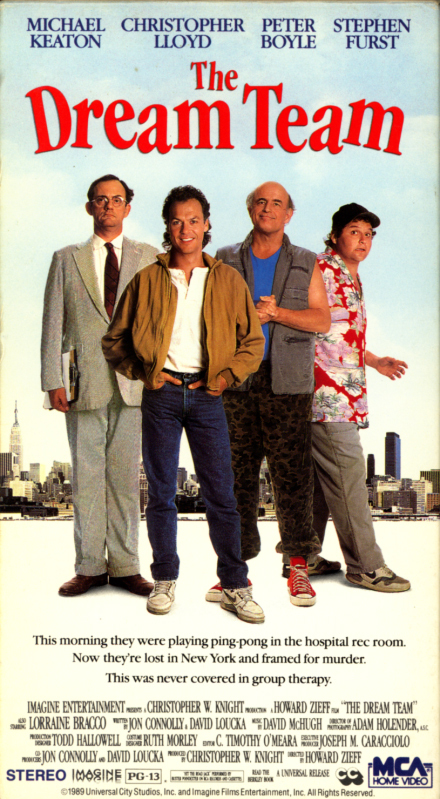 A chronic liar with a violent streak, Billy (Michael Keaton) finds himself on the loose in New York City with his fellow group therapy patients: Henry (Christopher Lloyd), a clean freak, Jack (Peter Boyle), a former advertising executive with a Christ complex and Albert (Stephen Furst), a near catatonic couch potato. GoodFellas on VHS. Starring Robert De Niro, Ray Liotta, Joe Pesci. With Lorraine Bracco, Paul Sorvino, Debi Mazar, Frank Sivero, Tony Darrow, Mike Starr, Frank Vincent, Michael Imperioli, Samuel L. Jackson, Vincent Gallo. Directed by Martin Scorsese. 1990. Three Decades Of Life In The Mafia. When Martin Scorsese, one of the world’s most skillful and respected directors, reunited with two-time Oscar-winner Robert De Niro in GoodFellas, the result was one of the most powerful films of the year. 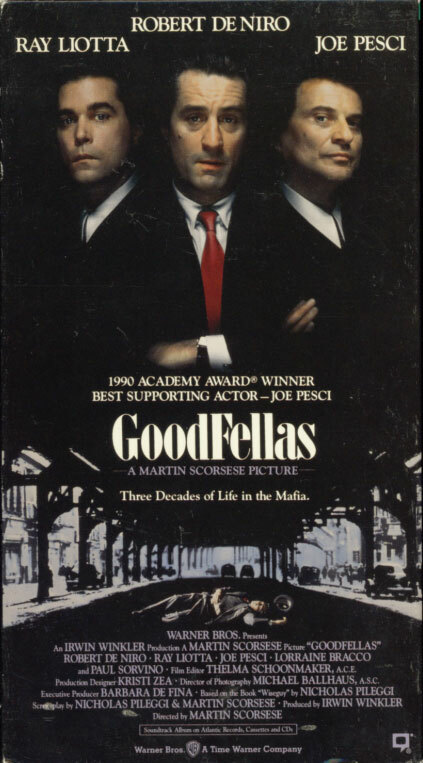 Based on the true-life best seller Wiseguy by Nicholas Pileggi and backed by a dynamic pop/rock oldies soundtrack, critics and filmgoers alike declared GoodFellas great. 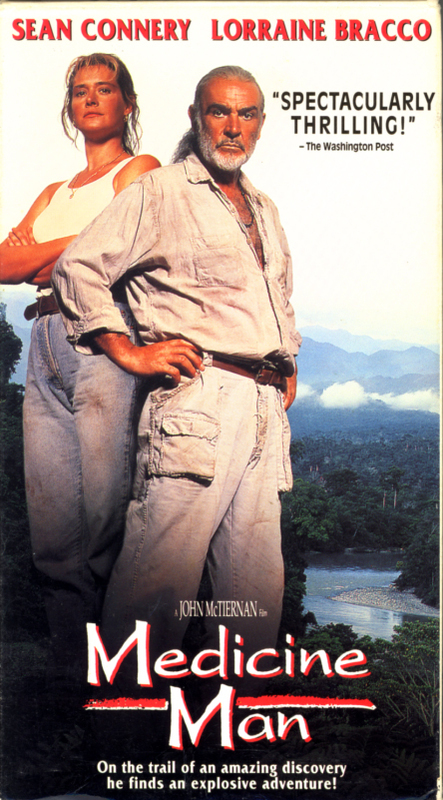 It was named 1990’s best film by the New York, Los Angeles and National Society of Film Critics. And it earned six Academy Award nominations, including Best Picture and Best Director. Robert De Niro received wide recognition for his performance as veteran criminal Jimmy “The Gent” Conway. And as the volatile Tommy DeVito, Joe Pesci walked off with the Best Supporting Actor Oscar. Academy Award nominee Lorraine Bracco, Ray Liotta and Paul Sorvino also turned in electrifying performances. You have to see it to believe it — then watch it again. GoodFellas explores the criminal life like no other movie.